Toronto playwright Mark Brownell’s Governor General Award nominated play tells the astonishing true story of an 18th Century celebrant of the French Court who admits to being a woman at the peak of his political career. 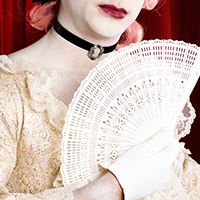 Along the way Monsieur d’Eon crosses swords with diplomats, spies, and wine connoisseurs as well as being on the speculating gossip tongues of all the crowns, celebrities and betting houses of Europe. Confronting mad kings, courtesans and the French Revolution, this fast-paced production, opulent and swashbuckling, is irreverent, touching and always entertaining.